Thoughtful packaging is a must for any item destined for retail shelves. 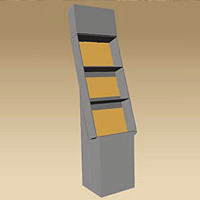 At ProtoPak Engineering Corporation, our retail packaging design services are ready to meet the challenge of having your product stand out among the rest while protecting the contents until safely in the consumers' hands. Our visually appealing designs are attentive to your company image and mindful of material usage, which can ultimately save you on shipping costs. Material choices are almost limitless, examples include thermoformed plastics, paper tubes, vapor proof bags, and any size or type corrugated box. We also supply a wide variety of supplies for cushioning, labeling, sealing, and edge protection. 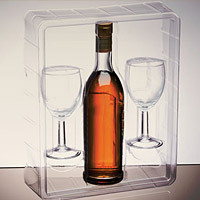 Experienced serving many industries, we have designed and sourced packaging for a wide variety of products, such as computer equipment, medical instruments, hardware, generators, and pumps. All of our packaging designs are tested for integrity, and we offer a list of secondary services, such as warehousing, logistics, and labeling to meet your start-to-finish packaging procurement needs. For an extensive list of our capabilities, please see below, or contact us today to learn how we can improve your packaging application.